If you have never lived on a college campus before (that’s probably everyone reading this post) then you might be wondering what to expect and how to prepare for this change. 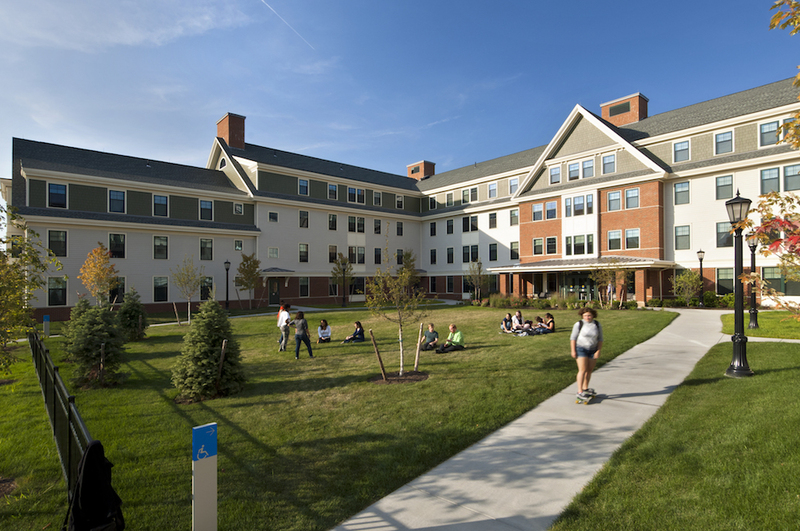 At The College of Saint Rose, first- and second-year students are required to live on campus unless they live within a 40-mile driving distance from the College. Even after their first two years, students are encouraged to make Saint Rose their home away from home. Because, frankly, living on campus is awesome. Sure, there are Resident Assistants (RAs) who enforce campus rules, and yes, you’ll likely share a room with another student, but what you gain from these experiences is nothing short of transformational. You’ll grow as a person – socially, professionally, and academically – and gain invaluable life experience that is applicable in the real world. Still not convinced living on campus is for you? Maybe these facts will change your mind. Fact: You will have to pay bills if you live off campus and on your own. Trust us, bill paying is the WORST part about being an adult. Why not put off these responsibilities until after you graduate and enter the “real world.” That’s what college is all about, right? PUTTING OFF BEING AN ADULT?!? Electricity, internet, heat, water, etc. come at a cost and add up over time. Then, there are auxiliary costs such as food and cleaning supplies. If you’re not a budgeting wizard, then you might end up spending more money than planned. 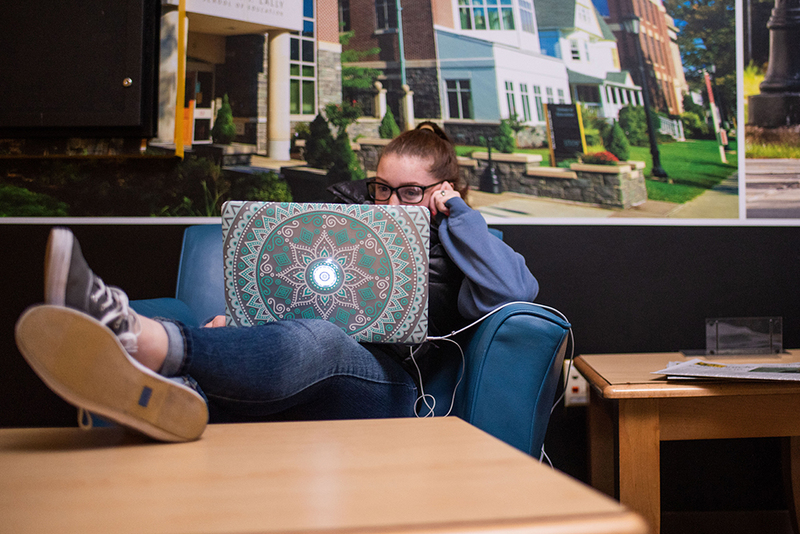 If you live on campus, these expenses are built into your room and board costs, so you don’t have to worry about fluctuating monthly payments, late fees, or splitting the bill with your roommates. In fact, you don’t have to worry about paying off these expenses until after you graduate and have a career (#adulting). Fact: It is more convenient to live on campus. You’re likely to experience an 8 a.m. class or two throughout your four years of college. When you live on campus, you can roll out of bed and walk to class in the morning. Pajamas and sweatpants are totally acceptable. You can even hit that snooze button a few times (ok, more like 20 times) before waking up. Plus, there’s a Starbucks on campus or the dining hall for a quick bite before the learning begins. If you live off of campus, you will likely have to wake up extra early to get dressed, buy a cup of coffee, eat breakfast, and plan for rush-hour traffic. Then, you’ll have the fun task of searching for a parking spot! All of this before 8 a.m.? That’s no fun. Free Wifi and laundry are also available to students who live on campus. How many apartment complexes offer that? Virtually none. Fact: Saint Rose offers 24/7 campus security. At Saint Rose, we provide 24/7 security with boots-on-the-ground service. If you live off campus, you’re not guaranteed that same level of security. We know full-fledged adults who don’t secure their homes because it comes at a cost. This is a L U X U R Y. Our security department provides around-the-clock campus escorts for when you’re studying late at night (or just hanging with your friends) and would like a security guard to walk you to your destination. There’s an emergency blue light phone system located on campus walkways and parking lots. If you have to travel to Picotte Hall or Brubacher Hall, we also provide a campus shuttle service to and from campus. Fact: Living on campus can improve your opportunity to make lifelong friendships. When you live on campus, you’re forced to interact with and meet new people. The person you’re rooming with could turn out to be your best friend (or not, but that’s OK). The people who live on the same floor as you could someday end up in your wedding party. That student who rides the Saint Rose shuttle with you to class every day might be your future business partner. There are ample opportunities to forge new relationships with complete strangers and make lifelong friends – living on campus helps to create these moments. Even when times get tough, approaching uncomfortable topics with your new friends will help you build character and prepare you for the real world. Like when you’re upset with your roommate because they kept you up all night or they borrowed something without asking, these awkward moments are fleeting but will contribute to your social skills and resilience. You might not realize it while in the moment, but these skills will help you in your career and personal life.